For over 30 years, attorney Roger Stelk has guided clients through difficult times. His firm, the Law Offices of Roger W. Stelk, provides high quality solutions for clients in the areas of family law and divorce, real estate, probate, and guardianships. Our firm is dedicated to helping you overcome your current difficulties so that you can move forward with your life. During the divorce process, your future may seem uncertain and unclear. In our family law practice, we provide comprehensive services for individuals facing divorce, including child custody, child support and property division, as well as other family law issues like prenuptial agreements, paternity, and domestic violence. Whatever your situation, we will work with you to reach a favorable resolution of these difficult issues. Providing for the needs of an elderly parent who can no longer care for himself or herself can seem like an insurmountable challenge. At the Law Offices of Roger W. Stelk, we provide advice and services in the areas of probate administration and guardianship. The Law Offices of Roger W. Stelk takes pride in being available and responsive to all our clients. We will work to earn your trust by providing the right solution for you with dedicated and responsive service. Buying or selling a new home can be highly stressful. In our real estate practice, we facilitate smooth residential real estate transactions. When you decide to buy, or sell a home, we will work to make sure you are treated fairly. Property is a big investment and we want to make sure it is not one you will regret later. 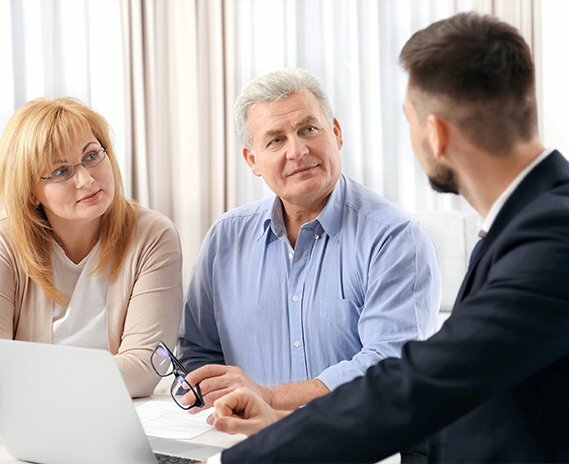 We review purchase agreements, lease agreements, financial disclosures and arrangements, titles, and real estate contracts in order to identify any terms that expose our clients to unwanted liability. We work hard to provide a superior level of client service. If you have questions about how we can serve you, please contact the Law Offices of Roger W. Stelk. We can meet with you during regular office hours and also have evening or weekend appointments available. For a free initial consultation with the Law Offices of Roger W. Stelk, call (847) 506-7330 or send us an e-mail. Located in Arlington Heights, our firm serves clients in Cook County, the northwest suburbs of Chicago and Northern Illinois.